Rarely do you find a place that fits many of your personal needs. Those rare finds often bring customers back again and again over the years. Businesses are aware of their customer profiles and seek to continually tune-in on their customer needs by providing the right atmosphere consistently and flawlessly. Even though all businesses make mistakes it is those that offer maintain their focus that are likely to overcome any shortcomings. There are a number of factors associated with the success of individual businesses. Convenience (location), food offerings (variety), price (relative value), atmosphere (servicescape), customer focus (customer profile),and social benefits are a few you can consider. Wired Café is a neighborhood café, with a variety menu, at prices under $15, which provides a relaxed environment with a touch of ethnic flavor. The staff has an opportunity to become familiar with their regular customers which helps strengthen their customer base. Wired Café Le Bistro offers a hometown feel with just a touch of French culture. It isn’t a place you would expect valet service, table cloths, and real silver spoons but it does have charm that surpasses many of the other cafes. It is a family owned business that is well managed, clean, and reasonable. 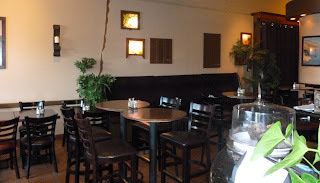 It is one of those unique small neighborhood cafes that cater to breakfast, lunch, dinner and cocktails. The Bistro offers a variety of seating arrangements. Booth, bar, table, and patio seating are available. There are few things better than sitting under the stars having a cup of coffee or glass of wine while you converse with a friend or someone special. It is moments like these that really sell the charm of a place and provide positive feelings that becomes associated with any business. All businesses sell memories. The food choices are small plate and European by nature. There is a French feel and orientation to their menu. Most main courses are under $15 while cheaper sandwiches, salads, and appetizers are available. 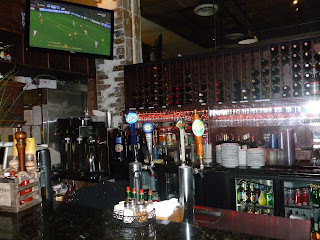 Wine selections are large and priced under $8.00 per glass. Internet works well and draws in customers with their laptops during non peak hours. Order a coffee or snack and you’re set for a while. 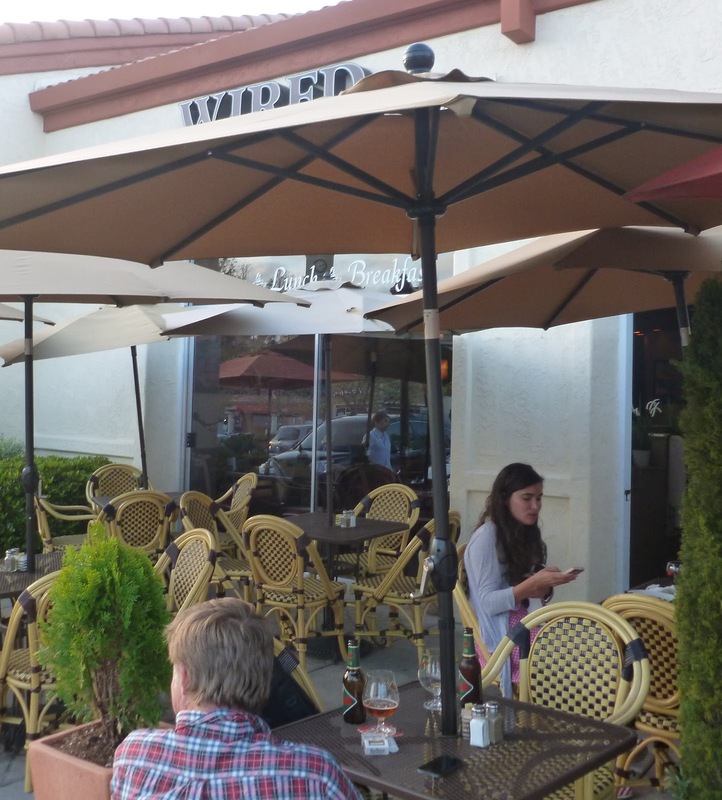 Wired Café Le Bistro strategy appears to seek out customers within a five mile radius and offers an affordable menu to draw them throughout the week. Busy times are midday and evenings during the weekends. On Friday and Saturday they may provide live folk background music. The outdoor seating arrangements seem to be a large draw for local customers who are attracted to seeing neighborhood residents and activity. The atmosphere is very casual so you can come in flip flops or a shirt and tie. Dress up, dress down…it doesn’t seem to matter.